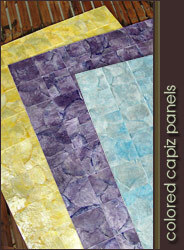 The laminated Motherofpearl shell tile wall decor panels are available in different color, design, shape, and sizes. 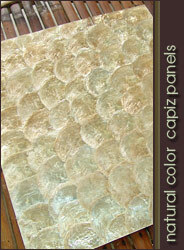 The laminated capiz shell MOP panels is also available in different kinds of sea shells. The natural shell walling panels can make the walls of your home, office or hotel rooms beautiful with its natural stone and brick effect. 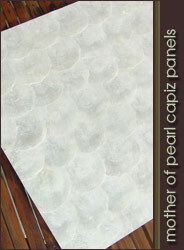 MotherOfPearlWalling.com is under Jumbo Pacific Inc., Probably the largest manufacturer and number one Shell Tiles Exporter and Cheapest Wholesale Shell Panel Mother of Pearl Walling for Home & Hotel Walling Decoration Furniture, Furniture Shell Tile Components, Furniture Shell Supply, and Furniture Natural Shell Exporter in Cebu, Philippines.